If you’re like me, you work, take care of your family, try to manage your home, your health and your weight. It can be a lot to juggle. The current guidelines for 150 minutes of moderate intensity exercise weekly make any busy person cringe. But don’t despair! You can sneak in much of the 150 minutes by finding 10 – 15 small windows of 10 – 15 minutes each during your week. You can do it! Keep in mind that your sneakiest exercise won’t require going to the gym, nor will it require any equipment. Just move your body as often as possible, and you’ll check that 150 minute goal off your list before the week is up! 1. Walk the stairs at your job. Do you work in a building with stairs? Great. Find time during lunch or in the afternoon to walk up and down the stairs for at least 10 minutes. Do it again at the end of your day so you can arrive home with some of your exercise minutes checked off your to do list. You’ll find that walking stairs in the afternoon can improve your productivity by waking up your brain. 2. Briskly walk or ride your bike when you have an errand that is a mile or less from your home/office. Depending on traffic, it may be almost as fast as driving. 3. Start your weekend, or any day off, with at least 10 – 20 minutes of brisk walking or slow jogging. Bump it up to 30 minutes on a day off, if possible. If you get your weekend exercise in early, you’ve got the rest of your day ahead to play! 4. Make exercise social. Are there other people in the neighborhood with whom you can briskly walk early in the morning or after work? Can you make a date for a 30 – 60 minutes of exercise when you have a day off? 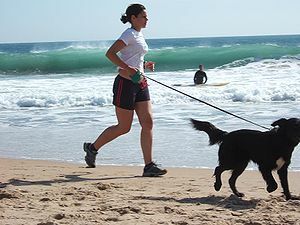 With 2/3 of Americans overweight or obese, there must be someone who would like the structure of having an exercise partner. 5. Stop worrying about getting the nearest parking spot. Pick the furthest one and be happy that you’ll move more getting from your car to your destination. 6. Make exercise a family event. Even if you get home from work late, try to get at least ten to twenty minutes outside together. If you have young kids, take them to the park. Run around and climb on the equipment with them. Limited time? Just walk around the block. Push them in the stroller and see how fast you can push it. If your kids are older, ride bikes, kick around a soccer ball or jog together. Engage teens and young adults to help YOU. They may love the idea of helping mom or dad with exercise. 8. While using your electric toothbrush for 2 minutes, 2 – 3 times daily, do squats, leg lifts, side kicks, front kicks and lunges. But for goodness sake, be careful and don’t slip or kick the counter! Don’t try this one while shaving. 9. When you get home and are making dinner, dance around your kitchen or find ways to move while you cook. If you’re standing at the stove, take a step back and do some side kicks in between stirring the pot. You might look a little silly, but you’ll be the one smiling when you step on the scale. 10. Balance your exercise checkbook. Have you moved enough today? Did you get any of the 150 minutes of moderate intensity cardiovascular exercise that you need? Don’t worry if you haven’t done anything and the day is waning, just do something before you call it a night. You don’t have to go to a gym or buy any equipment. Just use your body and dance, kick, march, jump, climb. And while you move your legs, get your arms moving up and down too. You can get your heart rate up just moving around in your bedroom or living room. ‹ Is Bread Your Weight Loss Nemesis? I love the easy ideas for working exercise in to a busy schedule. Thanks for giving me permission to exercise at home for a short time without having to make a big production of going to the gym. 150 minutes per week does not seem an impossible goal when you break it down like you did. Thanks!